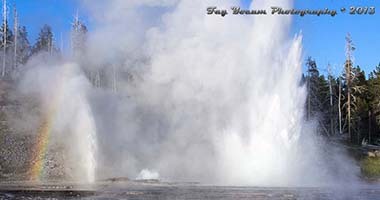 Waterfalls are just one of the many types of water features within the Park. Please enjoy them and savor the peaceful feelings they generate. Learn. Knowledge is power. Power to help others. 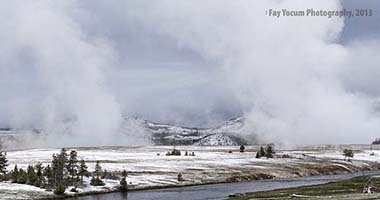 How many waterfalls exist in Yellowstone National Park? Where did the mute swan get transplanted from? How many gallons of water can a pelican's pouch hold? 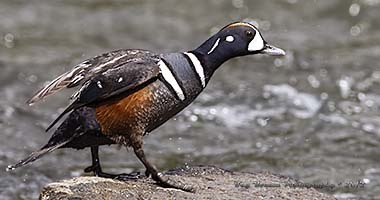 Can you identify this duck? Click here to find out if you are correct. 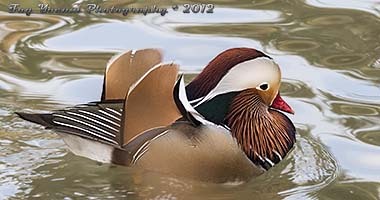 The drake, male, Mandarin Duck has an unique modified twelfth secondary feather that looks like a "sail". For more information click here. 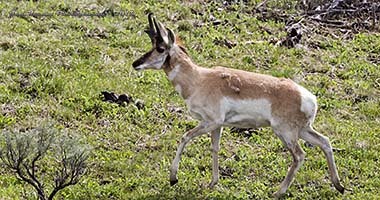 There is absolutely NO antelope in America. Think I am wrong, click here. 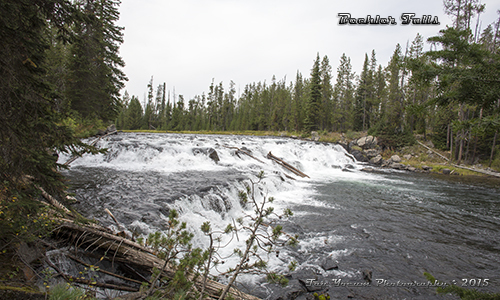 Fun Facts: This waterfall is located in the 1% of the park that is in Idaho. 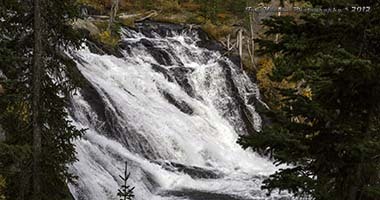 The downside is that you will need to travel over about 10 miles of washboard road getting access to at least two of the waterfalls displayed on this website. 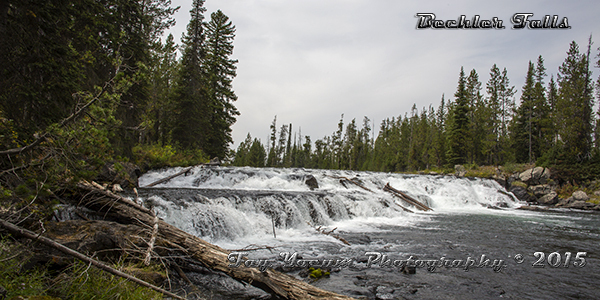 Location: About 26 miles up Cave Falls Road from Ashton, Idaho. Then 1 mile on foot from Cave Falls parking area. 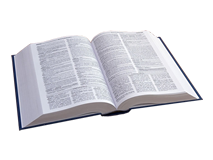 Please note that all pictures displayed on this site are for educational purposes on this site only. Please link people to this page if you want them to see the image(s). 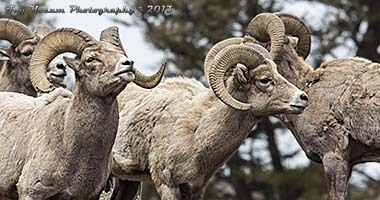 If you have a need for these pictures please follow the link below to purchase a print or click here to email Awareness Productions to discuss usage of a picture in your project(s). To view more pictures or purchase pictures by Fay click here. Copyright 2006 - 2019. Awareness Productions. All Rights Reserved.